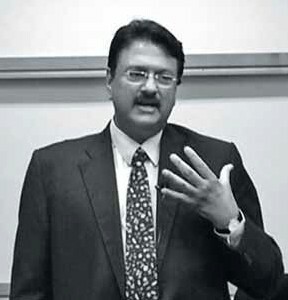 On a recent visit to the Indian School of Business (ISB), Ajay Piramal, billionaire businessman and founder of the Piramal Group revealed the secrets of his success. During an hour-long session at the ISB, Ajay Piramal described the Piramal group’s evolution from a family-run textile company to its entry into the pharmaceutical space and its growth into a global multinational. He shared the fundamental guiding principles of his success. 1. Integrity: Are our thoughts and actions aligned with each other? Integrity is important not only to individuals, but also to corporations. He spoke about how his company has been able to command greater value due to its integrity. Acquisitions they made came at cheaper costs and divisions they sold commanded higher prices. 2. Courage to make decisions: Piramal spoke of the group’s game changing decision to enter the pharmaceutical industry. This involved a paradigm shift – from a labour and manufacturing-intensive, family-run textile business to a sector driven by intellectual property, research and regulation. No management research would have indicated compatibility between the two sectors. However, the courage to make that call and the belief in the idea led the group into this space, in which it is currently a global leader. If you see the number of Indian companies in the Fortune 500, there are about eight of them – ﬁve from the public sector and only three from the private sector. 3. Perceive challenges as opportunities: The group possessed a sick manufacturing unit in a residential area of South Mumbai. Environmental regulations, a large labour force and increasing costs of real estate were adding greater complexity to the situation. Instead of viewing this as an inevitable defeat, the group sensed an opportunity. It transformed the aging factor y into India’s ﬁrst mall, Crossroads, thus turning a challenge into an opportunity. 4. Be passionate in your actions but remain detached from the outcome: Piramal posed the following questions to the group: Why are over 70% of the world’s mergers and acquisitions unsuccessful? Why then, are 99% of the Piramal Group’s M&As successes? To answer this, he recalled the Abbot deal, in which the group sold its domestic healthcare business for Rs 18,000 crores. He believed it was the group’s composure and detachment from the outcome that enabled success. Unlike most M&As where the buyer tends to subdue the disadvantaged seller, in this deal both the parties were on an equal footing. The value it created was equivalent to a tenfold growth in sales and 29 times growth in EBIDTA. 5. Associate yourself with good people: Associations with upright people can keep the company on the right path, Piramal observed. He spoke about how the wrong path can seem right on many occasions and only through right associations can the company stay on course. 6. Compassion: Piramal spoke about the practices and ethics of companies, and how they are largely represented by their contribution to society. 7. Health and family: Piramal stressed that we must prioritise based on how we wish to lead our lives and that we cannot take our health for granted. 8. Exercise humility: Speaking of arrogance as a barrier that kills learning, Piramal urged students to learn continually from all their interactions.